While Mr. Draghi’s comments weakened EUR, USD was supported by the US rate hike. 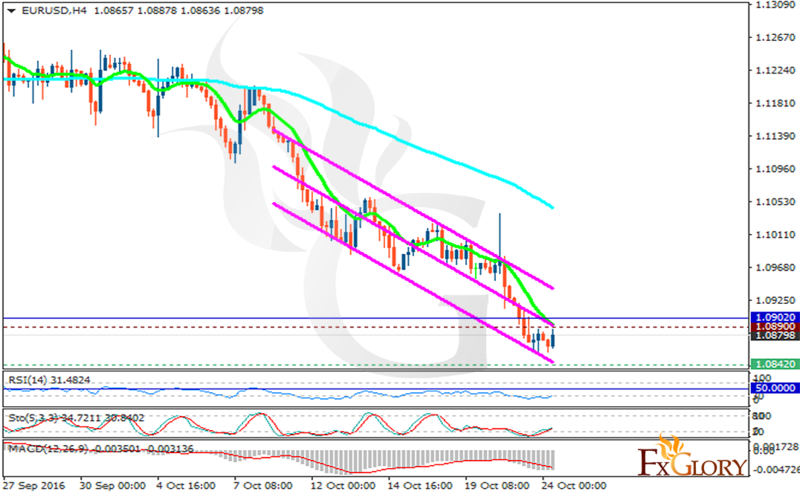 The support rests at 1.08420 with resistance at 1.08900 which both lines are below the weekly pivot point at 1.09020. The EMA of 10 is moving with bearish bias long the descendant channel and it is located below the EMA of 100. The RSI is moving below the 50 level in the oversold area, the Stochastic is moving horizontally in low ranges but is showing upward momentum and the MACD indicator is in negative territory. Long positions are recommended targeting 1.0950.